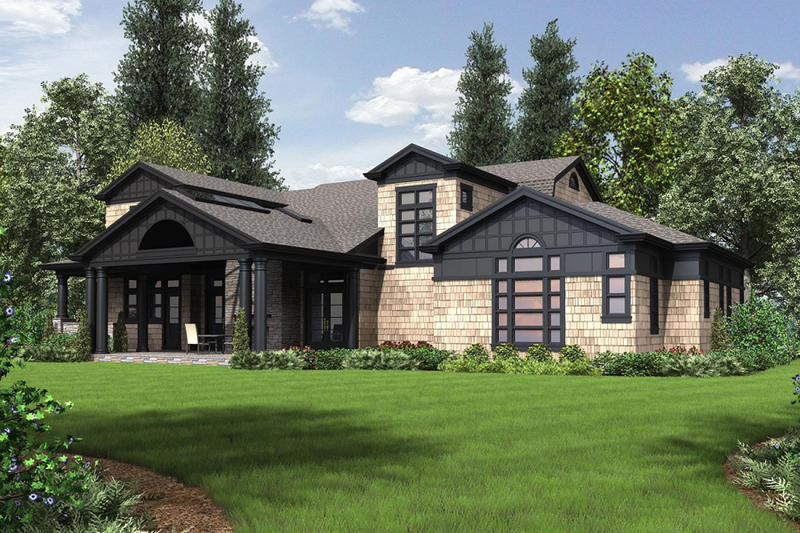 There are so many options and choices to be made when it comes to designing your dream house plan. We’ve talked about the many garage choices and we’ve helped you determine how many bedrooms you need. But today, we’re talking about porches and the many options that come with these lovely additions to any home. 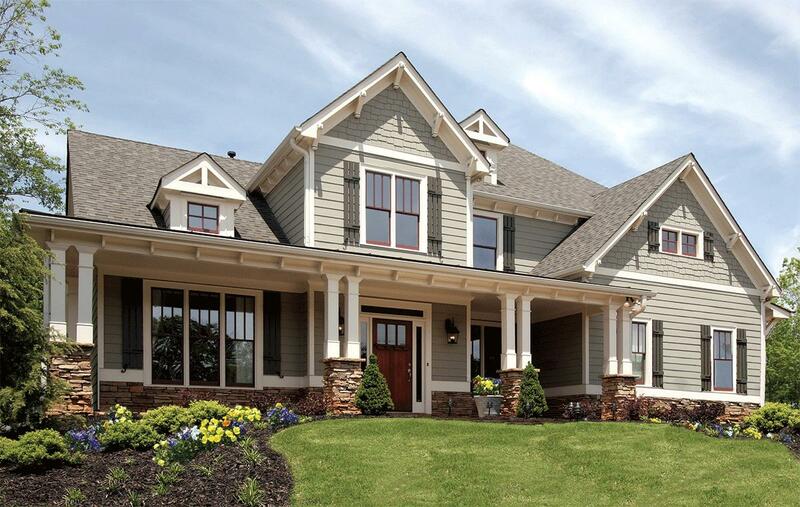 Front– The curb appeal of your home can be enhanced by a well designed front porch. Not only does a front porch add style to your home but it also gives you an outdoor area to relax on a rocking chair, enjoy a glass of lemonade on a hot summer day, or feature unique home decor that welcomes visitors to your home. Rear– With less visibility, a rear porch can be used in any way you desire. With this flexible option, a back porch can link to your kitchen, keeping room, or even a living room, creating an indoor-outdoor living space. A rear porch tends to be larger than front porches and gives you the ability to relax outdoors, enjoy nature, and keep an eye on children and pets playing in the backyard. 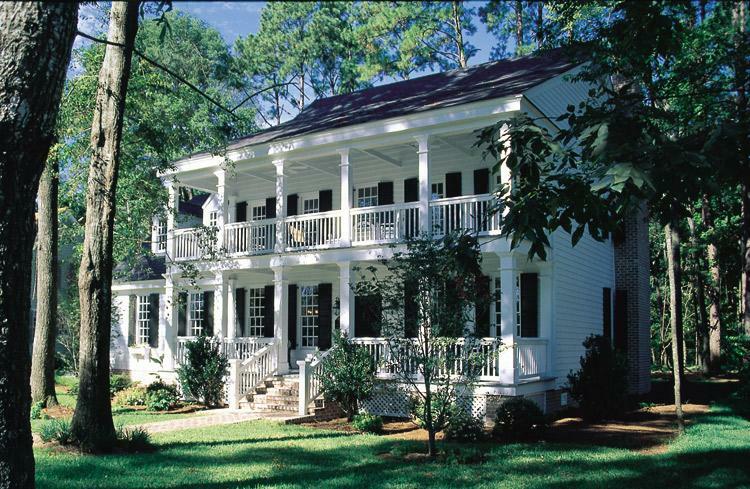 A rear porch is truly an outdoor extension of the home. Screened-In-These unique porches are essentially rear porches that are encased with screens, creating a more weather-friendly area that eliminates most bugs from invading you. A screened in porch gives you the ability to enjoy the outdoors while fully indoors. These areas can be enjoyed for at least 3 seasons depending on what part of the country you live in. Add a fireplace and you can enjoy a screened in porch year round! Stacked-This option makes quite a statement by providing two porches -one for the 1st floor and one for the 2nd. 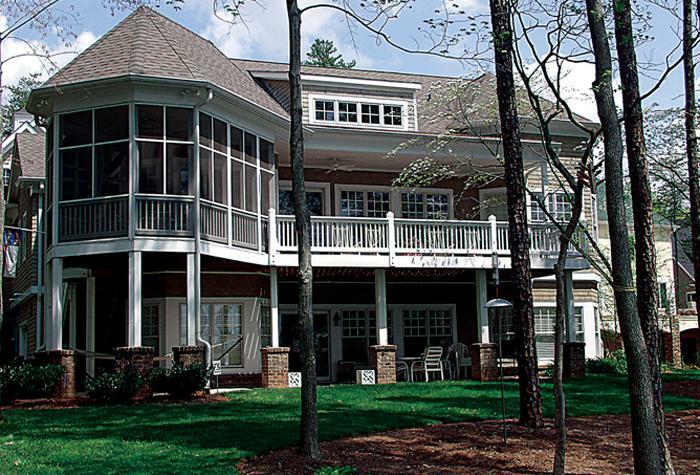 These two porches can be in the front of a home or in the back, giving you even more options with this choice. 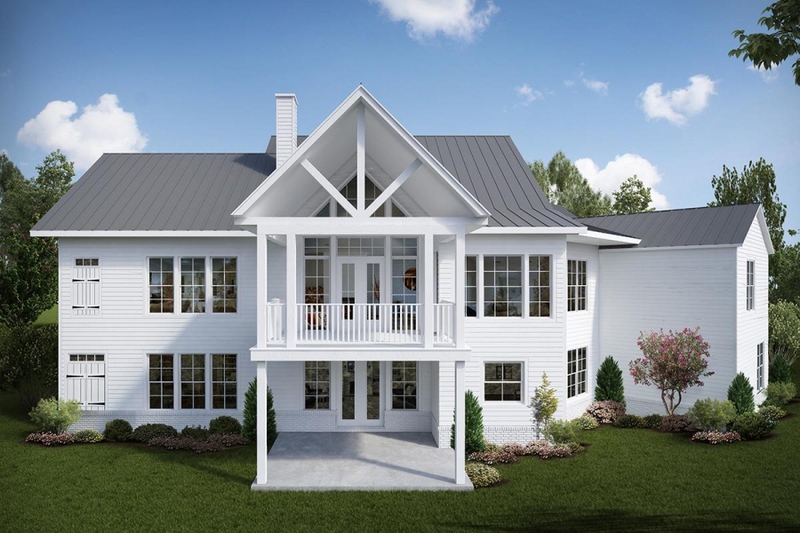 If located in the front of the home, the stacked porch option creates amazing curb appeal with its dynamic presence and in the back, you can enjoy the expansive yard to its fullest, getting amazing views from the top porch. Wrap around- The option that everyone desires! Perfect for a country location, a wrap around porch extends your living area and creates a covered porch that can be accessed and enjoyed around the outside of the home. Sometimes these porches wrap around the entire home and other times, they wrap around one or two corners but either way, these porches offer more space than the other options. With a wrap around porch, you can thoroughly enjoy your yard. Grab a rocking chair, a small table, or even a chaise lounge and enjoy! As you search for your future home, explore all your porch options and see which one speaks to you and fits your family’s needs. Are you building on a large lot? Perhaps a wrap around porch would be best or an expansive back porch. Is your lot more narrow thus requiring you build up instead of out? 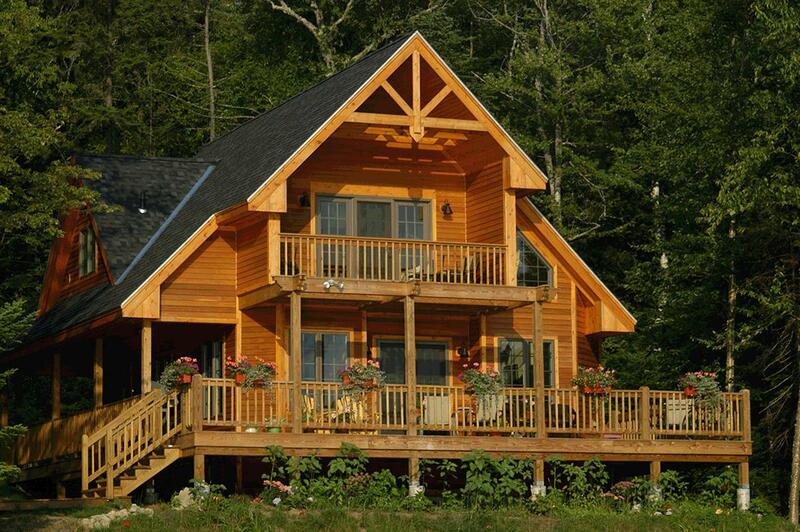 Look into the stacked porch option to give you the views and outdoor space you desire. The possibilities are endless! Explore our website to find the perfect house plan for you and message our team with any questions.